The door on the west side of Scarlet Moon Hall. 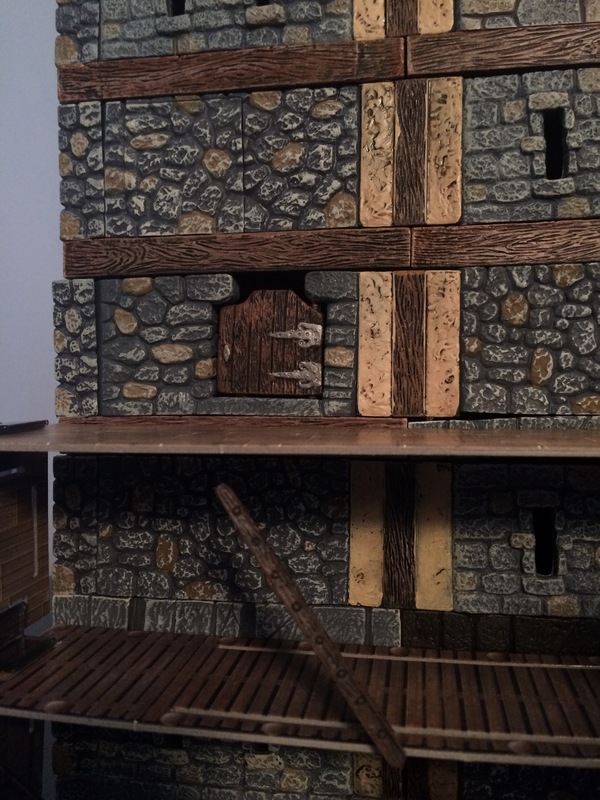 My players frequently ask the question: does the door open in or out? As this is an outside door, the door would swing into the keep. Doing so allows the hinges to be less exposed (they likely sit against the stone on the interior wall), and the door can be barred from the inside (making it harder to push open into the room). Having said that, in play I think I forgot about this fact and the door swung both in and out at various times.